A Wedisson Best Photographer award winning team. We consider ourselves wedding and engagement shoot specialists. We started our business in the US and are bringing everything to India! We have very unique ideas and a style which we have gathered based on our interactions with clients from diverse backgrounds at an international level. 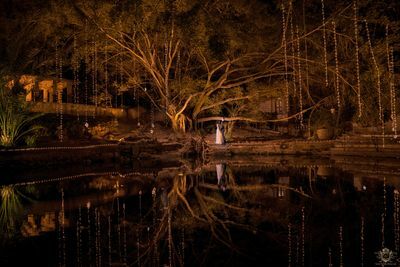 Be it photography, wedding films, or creating beautiful and artistic stories- we are just an email away! For additional info, please visit our website: www.shuttermagik.com. We thank you for considering us! 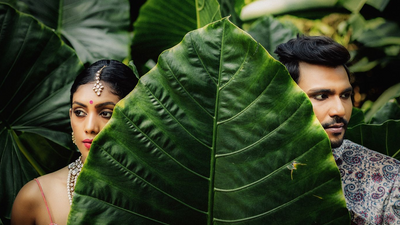 Aishwarya and I wanted to finalize our photographer for the engagement celebration, and we did not want the traditional style of photography. Thatâs when we discovered Anuj through the network and like their name suggests, it was magic. Anuj understood our requirements and the desired output and was involved in the process from the word go. On the day of the engagement, Anuj had a plethora of ideas in mind and we obliged, I am impressed with Anujâs ability to identify situations and photo opportunities no matter what the background is. He plays with light and colors like and artist does. And the results are satisfying. I wish Anuj and ShutterMagik all the success in this beautiful field and canât wait for him to cover my wedding. Thank you so much for the compliments Abhiram! It was great photographing you and Aishwarya! Looking forward to your wedding! ???? We hired ShutterMagik 2 months before our wedding date and we are so glad to have made that decision. 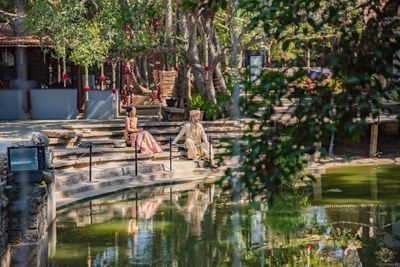 They covered our pre wedding shoot and the entire wedding functions. The founder, Mr Anuj, is extremely friendly and he understood the couple chemistry instantly. This made it easy for us to explain the whole vibe of the shoot that we wanted. And he and his extensive team delivered something more beautiful than we had expected. 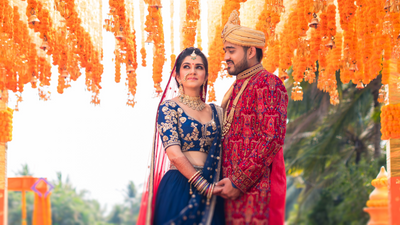 ShutterMagik's attention to detail, ideation behind each shot and the presence of mind with what is available in the situation and clicking pictures using them is just out of the park. The photography ideas are excellent and the quality of the imgaes is superb! 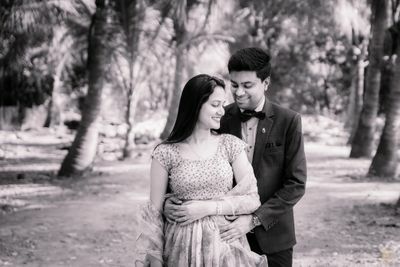 Shuttermagik has a grat team of professional photgrpahers who work around the clock with you to capture your special moments and that is what impressed us and our family members. Also, a very important thing that sets them apart is the delivery time of the work. We received our photographs(both bride and groom side) within 3 weeks of our wedding which is really commendable! We highly recommend them for making your special moments the best of memories. 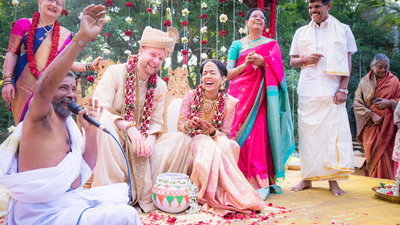 I was so glad we found Anuj and hired him and his team to take capture our special moments. Finding a good photographer was one of the first things we did during the planning process because we knew how important it would be to us. We contacted some of the top photographers, and frankly, I had a hard time doing business with most of them. 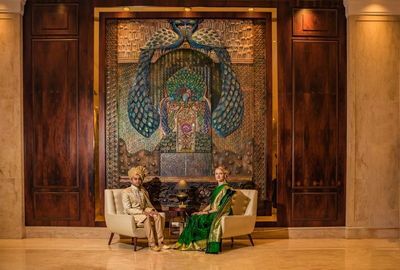 There is no doubt that Anuj work puts him rarified air, and his photos are stunning, but what separates him from his peers is his focus on delivering a truly customized solution for his clients. His emphasis was solely on us and making sure we got what we wanted. He made suggestions and helped us come up with a suite of services that best served us and our needs without trying to make us purchase things that we had no interest in. This was very important to us. In the end, you cannot go wrong with Anuj and ShutterMagik. 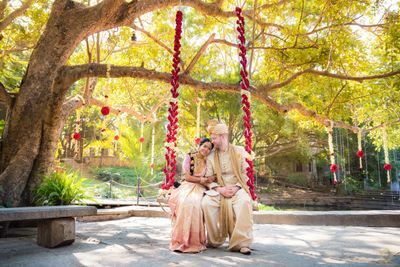 He will provide you fantastic, creative, photos and tailor his services to make sure that you get exactly what you want on your day. 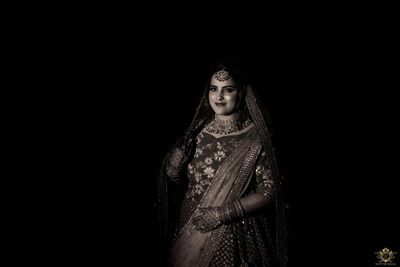 We wanted a candid photographer for our engagement ceremony in Pune - and Shuttermargik was the best fit! 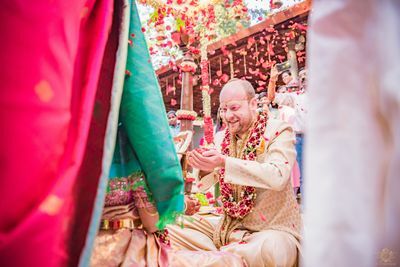 Anuj made us feel at ease and ensured our best expressions came forth in the photographs. 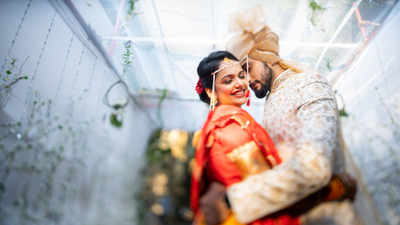 Throughout the process, he has maintained utmost professionalism and that is what we liked the most - and well, our pictures speak for themselves - the frame, the lighting - everything was perfect. 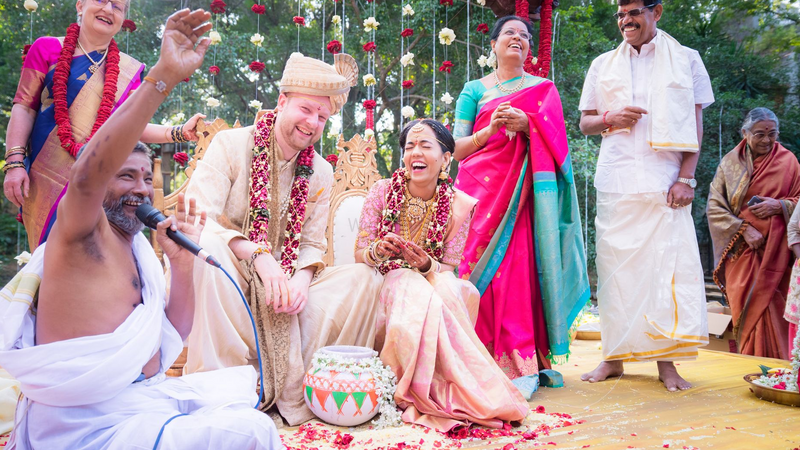 We do recommend Anuj and his team to anyone looking for a candid photographer! 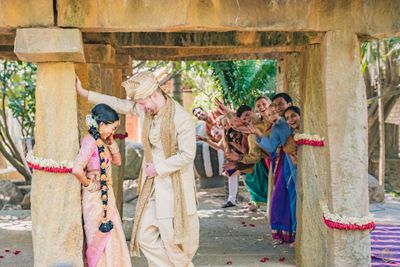 After we already had a very good prior experience with Anuj, we decided to hire him for our wedding and are very happy that we did. He took amazing pictures and understood our requirements very well. Anuj is great in working with customers like us, who are not used to posing for professional pictures. He knows how to give the right instructions and sets up the photos perfectly, while keeping it light-hearted. His turnaround time is very fast and we would certainly hire him again. It was so much fun photographing your wedding! Thank you for the great review Erik! We hired ShutterMagik after going through a lot of wedding photographer profiles. We did not want traditional photography and after going through many recommendations we still felt that other photographers had 2-3 good ideas but otherwise falling flat. When we met Anuj and discussed about what we wanted, it was a cakewalk. He immediately connected with our idea and made it so easy. 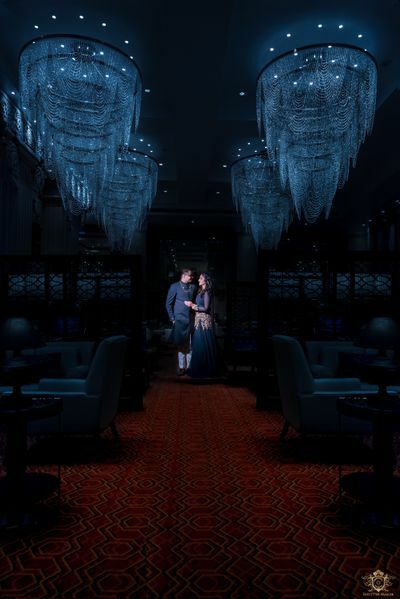 So we got our pre wedding shoot done by him and his team and the results were just amazing! 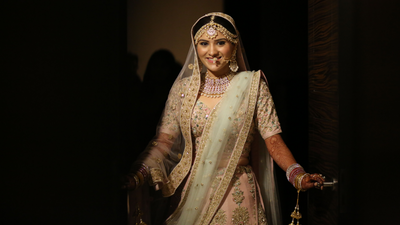 There was no second thought about finalising ShutterMagik as our wedding photographers as well. Anuj's entire team was excellent and made it so comfortable for us and our families. We wanted to enjoy with our friends and family and not worry about posing etc and that is what ShutterMagik made happen! Right from ideation, making our chemistry come out and easing out the whole process was commendable. Anuj went out of the way to make us laugh and enjoy our shoot. His team made our family members also comfortable and their candid photography captured everyone's enthusiasm and emotions. I highly recommend ShutterMagik for wedding photography. And be rest assured that their work gets delivered way before other photographers can which was a cherry on top. Thank you ShutterMagik for capturing our best moments and we wish you the best ahead. From meeting for planning to the engagement shoot everything went smoothly and in a timely manner. 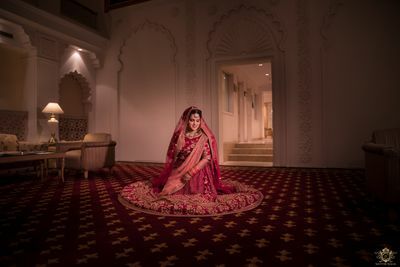 We had heard about Anuj through a friend who had worked with Anuj for their wedding shoot and absolutely loved his work. We saw his work online and the quality of his work was astounding for such a young photographer. We can't explain how valuable the entire experience was, his patient, hardworking nature, professionalism and how he made sure we were completely comfortable was very assuring. He knew exactly what moments to capture and his attention to detail is second to none. He has the perfect balance of knowing when to let the emotional moments flow naturally and how to help focus to get fantastic shots. Our photos turned out to be outstanding. As the time passes, the memories might fade but we will still have Anuj's work to remember and relive those special moments. We recommend Shutter Magik to everyone who wants to cherish their special moments forever ! It was a great experience having this team capture/ shoot our wedding for us . They are very professional , considerate , easy going and innovative. It's incredible how they always came up with alternate shoot ideas even when certain events didn't go as planned for. And the outcome was as brilliant as we had hoped for. Keep up the good work guys ! Looking forward to hiring you again ! Thank you so much for your review! It was great working with you!